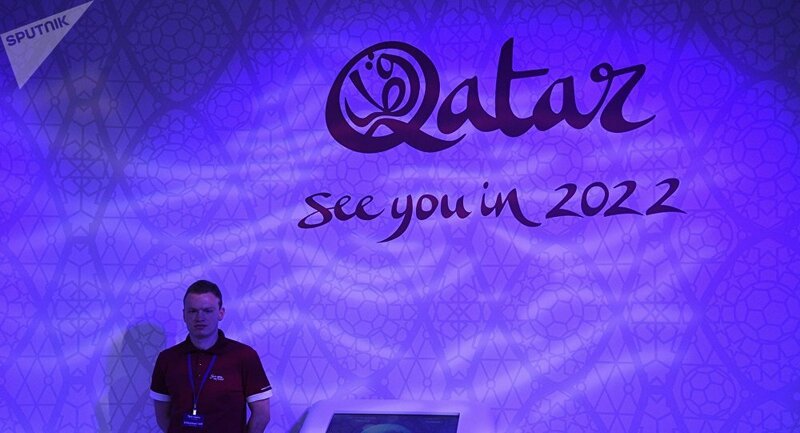 Over the weekend, The Sunday Times published a report, citing emails from a whistleblower, claiming that Qatar had carried out top secret “black operations” propaganda campaigns to sabotage rival bids to host the 2022 World Cup in violation of FIFA rules. Former chief of the Football Association Lord Triesman, who chaired England’s original bid for the 2018 championship, has called on FIFA to consider England as a last-minute substitute to Qatar. “FIFA’s obligation is to look at the evidence thoroughly and rapidly and have the courage to take what may be a difficult decision. If Qatar is shown to have broken the FIFA rules, then they can’t hold on to the World Cup. I think it would not be wrong for FIFA to reconsider England in those circumstances… We have the capabilities,” he said. Amid reports of Qatar’s smear campaign to undermine such rivals as the United States and Australia, Three Lions fans took to social media to call for the Gulf state to be stripped of the right to host the championship in 2022. World Cup plans for Qatar are an absolute shambles! Move it to England! We could stage it tomorrow. — Andy Buckley-Taylor (@BuckTaylor64) 30 июля 2018 г. — saad 🥇🏆 (@almozainy_saad) 29 июля 2018 г. — Ghanem Nuseibeh (@gnuseibeh) 28 июля 2018 г. — Alex Thompson (@AlsoAlexAyliffe) 29 июля 2018 г. — Dr. Fouad (@OnlyFouad) 29 июля 2018 г. According to The Sunday Times, the newspaper had received emails from a whistleblower that allegedly showed that Qatar had paid a public relations company and former CIA agents to disseminate fake propaganda and sabotage its main rivals, the US and Australia. The “black ops” reportedly involved recruiting influential people, including journalists and bloggers, to undermine bids within their own countries to create the impression that there was “zero support” to host the World Cup among the population. One of the leaked emails, sent to Qatar’s deputy bid leader Ali al-Thawadi, allegedly showed that Qatar was aware of the campaign. In 2014, The Sunday Times made similar allegations about Qatar buying the vote, but the Gulf state was subsequently cleared of them after a two-year long FIFA investigation headed by US attorney Michael Garcia.